Welcome to crossofthedutchman.com! This is the official and dedicated blog of Triangle Studios’ latest game titled Cross of the Dutchman. On this brand-new website, you’ll be able to find all the information on the game, the team behind the project and get all the scoops even before we break the news to the press! On top of this all, you are able to discuss everything with others in the CotD Community! Let’s start at the beginning. Triangle Studios is a game development company from the Netherlands. We’ve worked on many titles and on different platforms, but we always wanted to create our own games, just the way we like them (hey it’s probably what every developer wants!). So, back in ’09, on a summer afternoon we were throwing ideas back and forward for our ‘next big thing’. We noticed that it’s very difficult to come up with a decent story, and come up with a cool idea for a game at the same time. This is something we figured out during one of our earlier projects, one that never left the prototype stages. We needed something we would be able to fully grasp with a team of our size, something we would be able to relate to, and at the same time something we knew we would be able to create a great game with. After some time, the team started talking about how some games overuse a certain concept. Think about the number of games that have an Ice or Jungle environment. Think about the games that take place in a post-apocalyptic world. But how about something that takes place in the Netherlands, right in our own country! Surely, nobody has ever seen a game like that. But would it be interesting? Our country is mostly flat, and if it weren’t for the sea dikes, everything would be flooded with water. Enthusiasm wounded down again. How can you make a game entertaining and beautiful if you don’t have gorgeous mountains or landscapes? Then we realized that it had already been done! 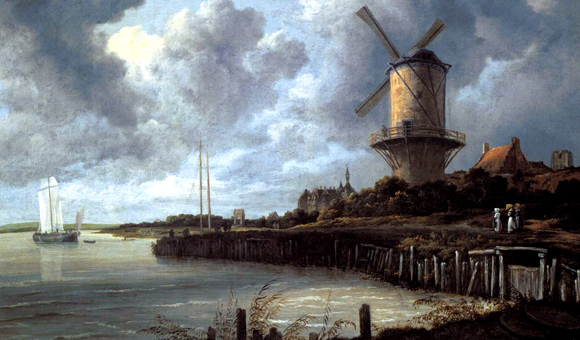 Back in the 17th century, the Dutch Masters were able to portray the Dutch countryside in the most beautiful ways imaginable! We were back on track, creating a Dutch landscape in a game could be a great feature. We thought about using our country’s typical weather and also the local flora and founa. We would be able to show gamers something new, something they haven’t experienced before. But we still didn’t have a story. A couple of days went by, because we’re always busy with projects, we don’t always take the time to sit down and continue our discussions, but this time we knew we were on to something. And that’s where it happened. “What about the legend of Great Pier” someone mentioned. It made most of our people stop to think about it for a bit. Great Pier is something all the local children know of. It’s a myth from the medieval times, a story about one man who stood up against his enemies, and fought to reclaim his county. The more we thought about it, the more it made sense! We are a company from the Providence of Friesland, right where the story of Great Pier originated from! We know the area and we know the story. This fits perfectly with our company! 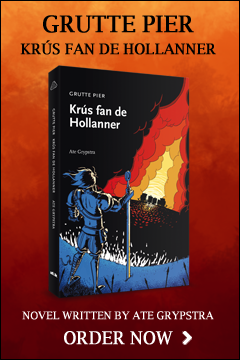 From that point on, even without having ideas about what kind of game to make, we knew that sooner or later, we would be creating a game around the legend of “Grutte” Pier Gerlofs Donia.